Your skin cells are constantly turning over and undergoing repair. This remodeling, correcting, and regenerating requires multiple cellular processes to work. That’s where FactorFive comes in. Scientists carefully culture human stem cells and then capture their potent factors — all in an effort to help your skin replace and boost the factors that decrease with age, helping prevent and fight the visible signs of aging. Stop by the studio to purchase in store or call us at 267-544-0813 to see what we have available. A fast-absorbing cream that fights the five signs of aging while providing extra-strength hydration without a sticky or oily residue, Visible results in 4 weeks or less. 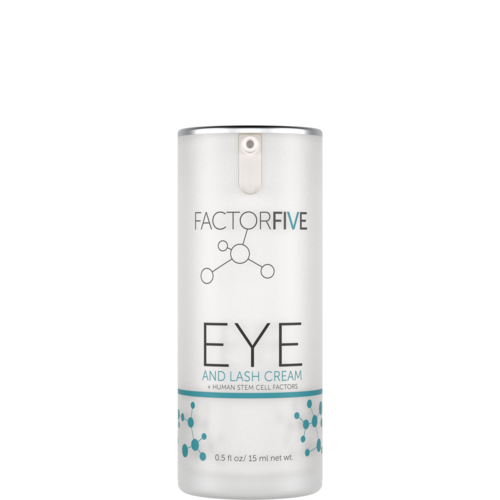 A high performance eye cream that targets puffiness, dark circles, crow's feet and promotes brow and lash growth. All without harmful or irritating ingredients. 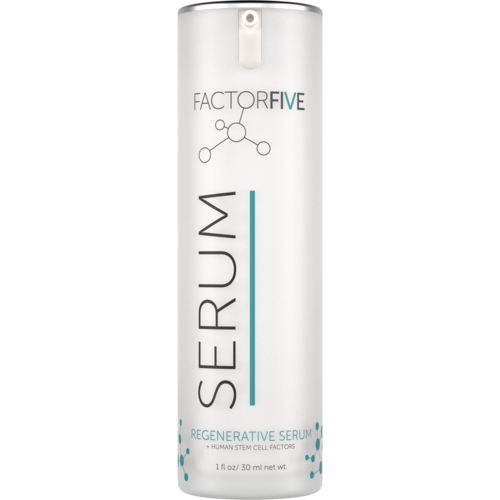 FactorFive Daily Regenerative Serum is an advanced treatment serum formulated with human stem cell derived growth factors, polypeptide complexes, and cytokines that help with anti-aging skin care.